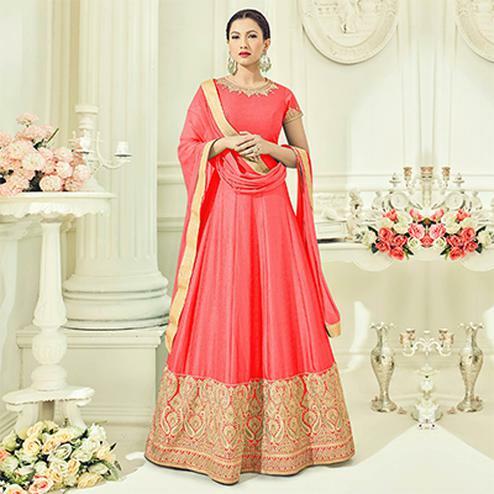 Add a touch of class to your ethnic look wearing this cream - pink colored designer suit. 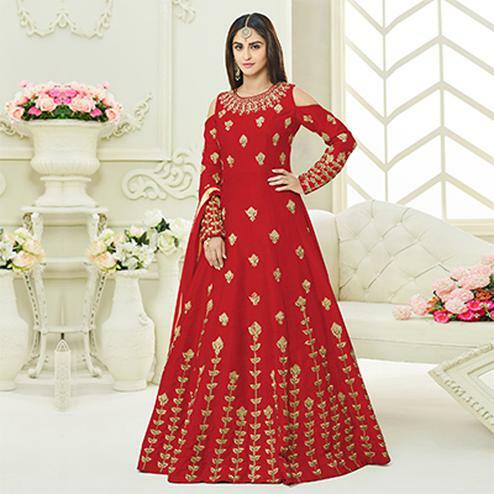 This georgette fabric suit is beautifully decked with embroidery & golden lace border work. The outfit is paired with a santoon bottom & net dupatta for a complete look. 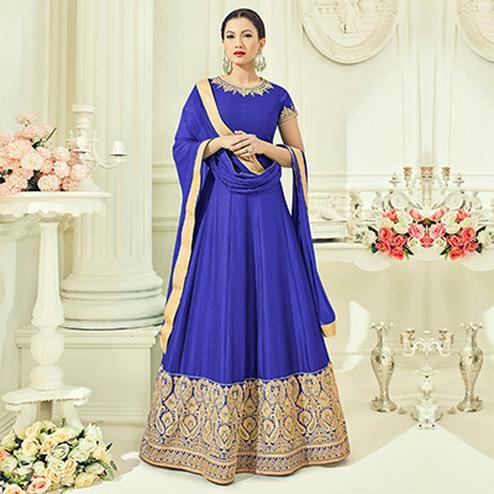 It's an ideal attire to upgrade your wardrobe for parties festivals & functions.